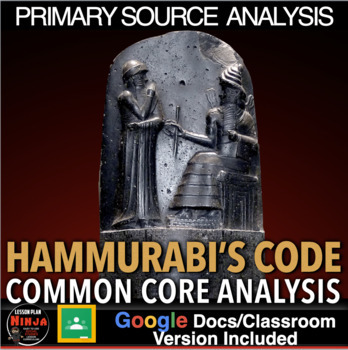 Hammurabi’s Code Primary Source Analysis teaches students about the culture of Babylon and it’s law code justice system through primary source document analysis. This short activity focuses on the treatment of women, the value of property, punishment today and the “eye for an eye” form of justice. 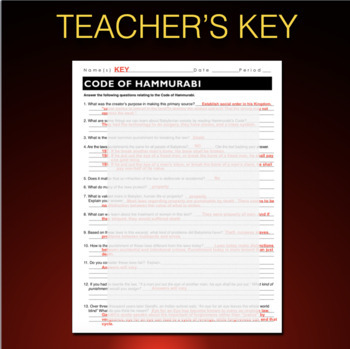 This can be used in class or as homework as it’s a completely stand alone assignment. 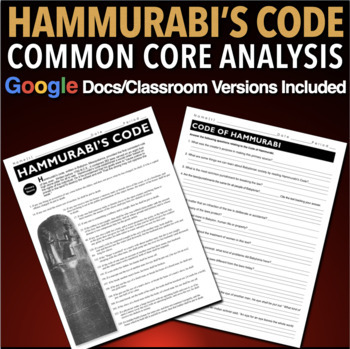 Save some money by getting this along with powerpoints, lesson plans, more worksheets and assessment. Go to Ancient River Valley Civilizations Entire Unit. More stuff on the way! Follow me to be the first to know about new products! Also, follow me on Pinterest here!